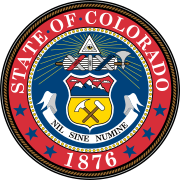 Amendment 42 was a ballot initiative, adopted by Colorado voters in November 2006, that amended Article XVIII of the Colorado Constitution to impose a minimum wage of $6.85 per hour, to be adjusted annually for inflation after 2007. The amendment was approved by 53.3% of voters. The minimum wage in Colorado at the time of the election was $5.15 per hour. This page was last edited on 1 March 2019, at 05:36 (UTC).